Minnie’s sparkling new Pet Salon is open for business…and adventure! Mickey and Minnie have been some of my favorite Disney characters through the years and they always have a grand time when they are together. 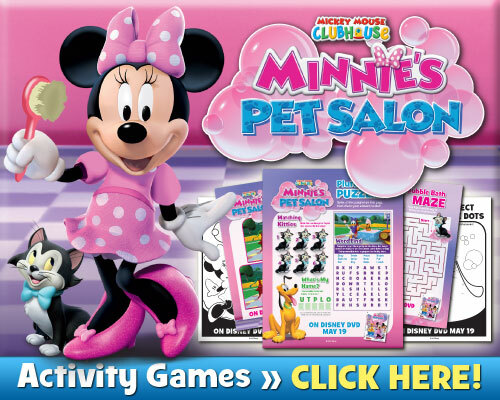 I’m such a sucker for Disney anything and the Mickey Mouse Clubhouse: Minnie’s Pet Salon has made it’s way into my heart of course. I can’t wait for my niece Olivia to come over so I have the excuse to watch it again!! All your Clubhouse pals are bringing their animal friends to get spruced up for Pluto’s All-Star Pet Show. With so many pets to bathe, groom and train, Minnie needs help. Luckily, Mickey and the gang are there to lend a hand. But when three adorable little kittens go missing, it will take the right Mouseketools – and help from YOU – to find them in time for the big show. With over two hours of song-filled pet-themed fun, including 4 additional episodes, Minnie’s Pet Salon is the “purr-fect” gift. Be sure you pick up your copy of this fantastic DVD on May 19, 2015! I promise your kids will love it as well as your inner child!